Randall's Candles & More was created with the thought of bringing people not only basic candles, but offering a variety of "new" candle products and accessories. If you are looking for a specific smell, shape or animal, please email me and I will do my best to find it. I believe that I will get my customers to come back, if I work hard to bring them what they want. 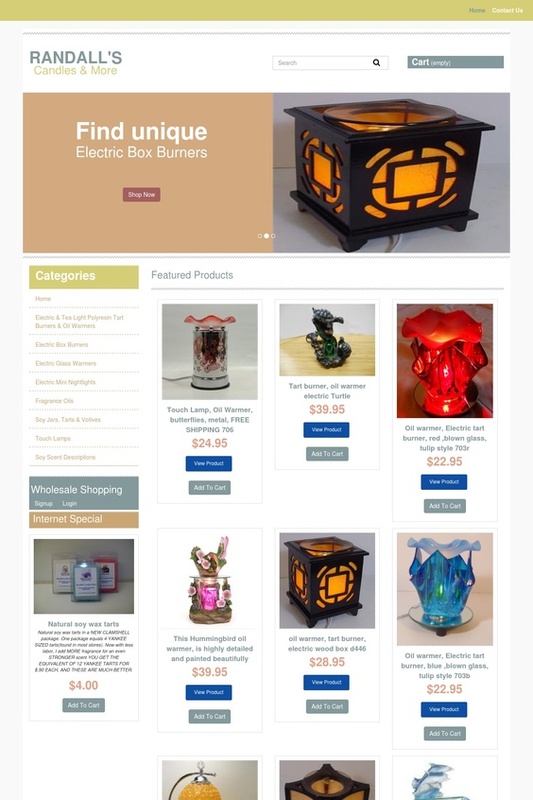 Technologies - Powered by CNYSource.com, Randall's Candles utilizes ASP with a MYSQL backend database along with various flash animation and graphics.